Morning LIMettes, I have been away in Vienna this week with work so it's a little crazy. We have another challenge for you at less is more this week and it's to use a frame. I still cannot get onto blogger using my laptop so iPad this time. 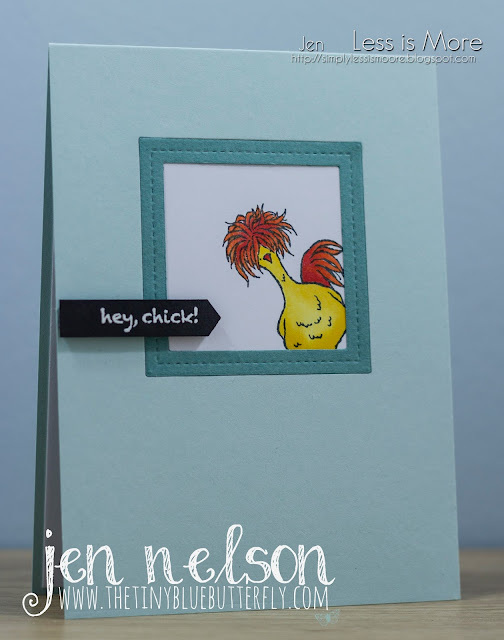 I could not resist using this cute chick from Stampin Up peeping out of the inserted frame ! 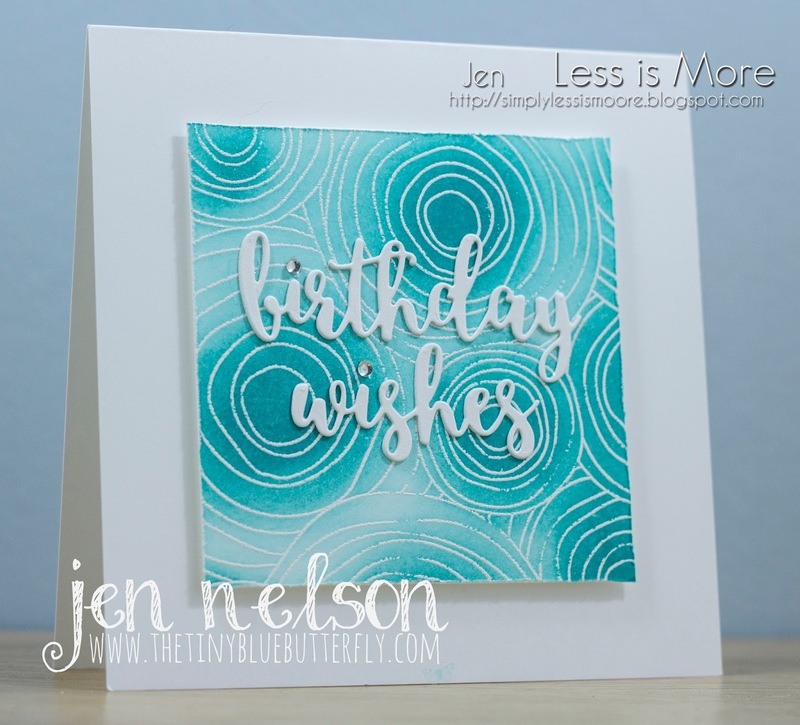 We have a new challenge at Less Is More this week and it's to use Washi tape on your card. If you are anything like me you have about 100 rolls just there to look pretty and never really be used! I used four different washi tapes (3 from SU) and ripped tiny pieces and layered them straight into my card base. It's finished off with a sentiment from MFT cut out of teal card stock to match one of the washi tapes. Morning, I have one of my all time favourite LOTV characters for you today.. James. He is available over at Lily Of The Valley in digi format again. This months Facebook challenge for is Flowers and to enter click HERE you still have a couple of days left! I went on Faye Wynn-Jones Copic class a couple of weeks ago and it gave me the confidence I was lacking with my copics... I was still using them the same way you do Promarkers even though they are a different type of pen, so I thought I would give James some fur and a cloudy back ground. Good Morning LIMettes, boy am I glad it's weekend it has been the longest work week for a while as we come to a pinnacle point in the project I am working on. I've not had much time to craft or do anything else all week! It's One Layer week over at Less Is More and the theme is Leaves. 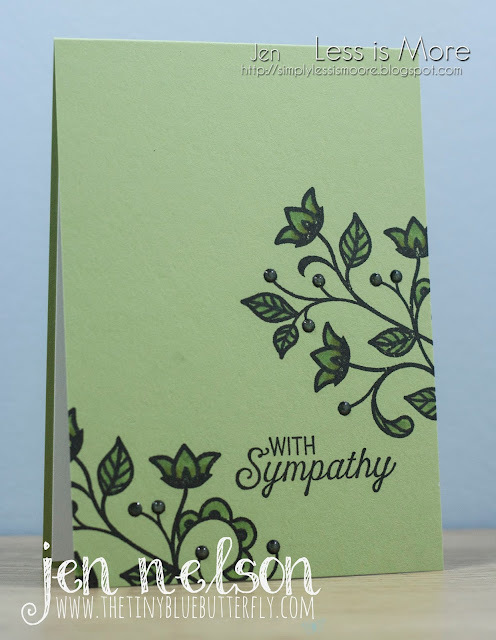 I decided to use a great set from Stampin Up I had not managed to use yet and simply added some tone on tone green copic and a little dimension from Nuvo drops! Hope you all have a fabulous Saturday.. I'm off to the gym with Lizy and then Rachel's tonight! I've had a massive clear out of my studio over the last few weeks.. mainly due to looking for my missing mojo, and found many pre-loved items looking for a new home. Morning LIMettes, Hope you all had a great week.. Firstly, apologies as I did not get to visit many of you last week due to work commitments but hopefully this week will be a lot less manic. It's a new month which means a new colour challenge at Less Is More and this week it's Mainly Teal. I went for an inky background and some emboss resist.. I seem to be a little obsessed with it at the moment! Here is my card, I love the back ground adding more colour into the centre of the circles for a great effect. Hope you have a great Saturday! I'm hoping to spend a serious amount of time in the craft room this weekend! 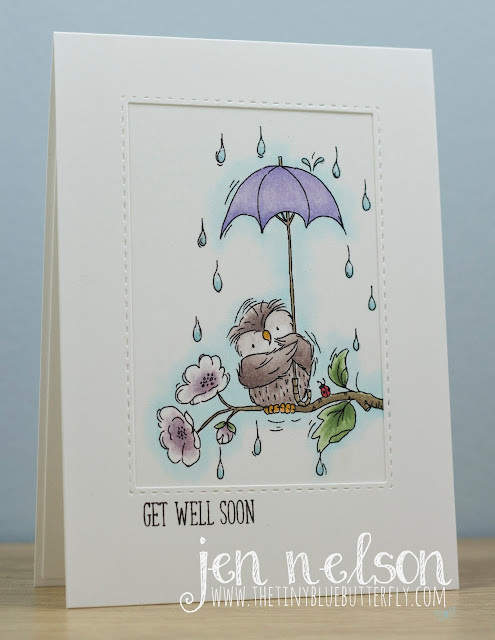 Morning, I have a card for you today from the latest LOTV release that was out yesterday.. this is Under The Weather... and has to be my favourite stamp ever! !